Marching together, for a better world! 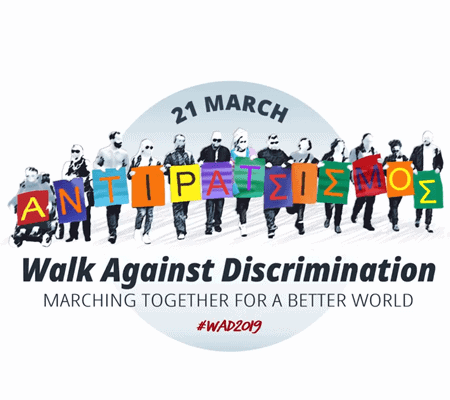 METAdrasi will participate in the Walk Against Discrimination, organised by the Greek Forum of Migrants on Thursday, March 21st, at 3:00 p.m., in Syntagma square. Let’s honor together the International Day Against Racism and Racial Discrimination, marching for a better world! Best wishes to everyone from METAdrasi’s team!